Recently I helped celebrate a dear friend (not without holding back a lot of tears at the podium). I was invited to be a part of the tribute for Yvonne Porcella and speak at her life celebration and tribute at the San Jose Museum of Quilts & Textiles. What an emotional but celebratory time together. This woman was clearly and dearly loved by so, so many. And I have a designated sink to wash the dogs, too. This will be a fun time next January 12-15 with instruction both at the Embassy Suites/Napa and my art barn; a candid (and telling) panel luncheon; an artists’ market; wine blending; and wine excursions in Napa Valley and neighboring Sonoma. I am also putting together smaller programs (when I say small, I mean small) for the art barn, too. And I am rather excited to announce something in one month for a new endeavor for Crafting a Life, LLC— something with which I am extremely familiar. It’s going to be a gorgeous weekend here in Napa for dyeing, sun-printing, and overall creativity. Hope you have an inspiring and creative weekend, no matter what your weather may be. Whether you knew her or knew of her, Yvonne Porcella was one of the brightest lights in the quilt world. Yvonne unabashedly loved color, whimsy, and was a person of incredible strength and fortitude. Having founded Studio Art Quilts Associates, exhibited in countless exhibits worldwide (including the Smithsonian), authored books, served on a number of boards, taught hundreds (possibly thousands) of students, she embraced every challenge with strength, wit, and humor. Not even a diagnosis of Stage 4 cancer, which she fought for six years, could slow her down. Yvonne was a class act, and she knew what it meant to really live. 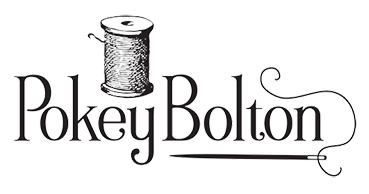 “Live Your BRIGHTEST Life: A Tribute to Yvonne Porcella” will be a featured art quilt exhibit hosted by Pokey Bolton at “Quilting in the Garden” at Alden Lane Nursery in Livermore, CA, September 24-25, 2016. 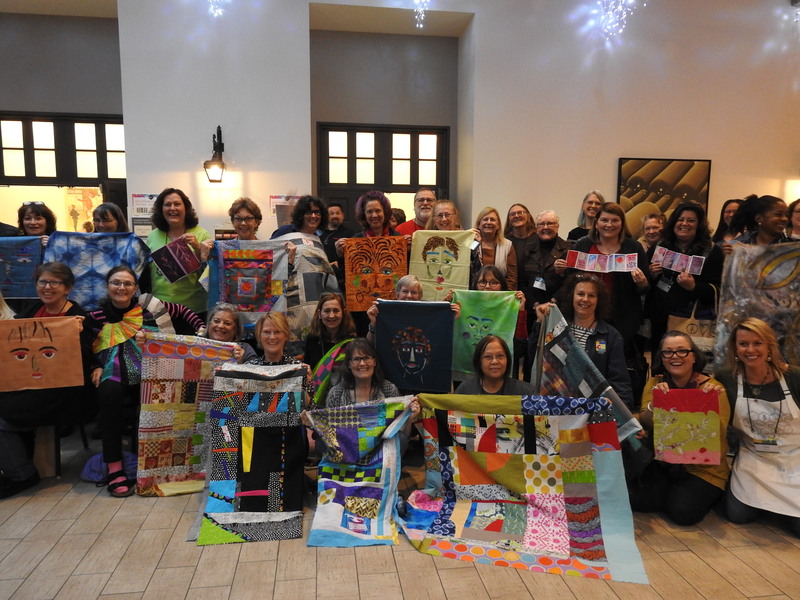 With fabric and thread, this is your opportunity to celebrate an amazing icon in the quilt world, and convey what living a bright life means to you. As part of this exhibit, we are asking quilt makers to include a written tribute to Yvonne and share how she has influenced your art our touched your life–whether you met her in person or not. This entry will be placed in a book and given to Yvonne’s family. Must include a sleeve for hanging and your information on the back. 2 narratives: 1) Narrative explaining your quilt. 2) A tribute to Yvonne to be placed in a book for her family. You will be notified by August 12, 2016 regarding inclusion and given shipping instructions. The quilt must be received by September 9, 2016 in order to be included in this exhibit. You are invited to have your quilt for sale, all proceeds to go to her founding organization, Studio Art Quilt Associates. Announcing the Winner of the $500 eQuilter Gift Certificate! The CRAFT NAPA Blog Hop is now completed, and the winner of the $500 gift certificate to eQuilter.com is Janet Avery from Jenny Lyon’s blog post! Congratulations, Janet! Please email me at pokeyATcraftingalifellc.com to redeem your gift certificate. In other news, there are just three days left to register for workshops and events at CRAFT NAPA! Hope everyone enjoys a creative weekend! Last Stop on the CRAFT NAPA Blog Hop! I invite all to share a response below, and I will collect the comments from all the Craft Napa blog posts, including this one, and announce the randomly selected winner tomorrow. I am incredibly honored by everyone who has faith in me and is joining this inaugural Craft Napa event next month! To that end, I am working as best I can to make it a success. It has meant a lot of out-of-the-box thinking, taking into consideration what is currently available in the market, including online instruction. It means I am constantly asking the question: What do people yearn for out of a live, in-person gathering in the year 2016? Moving back to Northern CA, specifically Napa, has been nothing less than a stunning decision to me. And I mean that in the truest sense–a deer-in-the-headlights kind of stunning. I moved away a long time ago. I was 17 years old when I went to college in Boston. I am now 44. Chronologically speaking, I have been away more than I have been home. Life events have ultimately brought me back. Now that I think of it, Napa had left an indelible imprint just before I left the Bay Area in 1989. I grew up about 25 miles from Napa, and my high school offered a small weekend retreat in Napa County chaperoned by our class dean and a few other teachers. The house where we stayed was an old, drafty Victorian-style home painted lemon yellow with white trim, situated in a hilly countryside adorned with rows and rows of dormant grapevines. It was the stark of winter, but it was lush and green, frosty and cold. I remember long talks with a trusted teacher at the retreat, discussing life’s possibilities. On the final morning, just before boarding the van to go home, I thought: this is it. This is the most beautiful place on earth. And I asked myself: What is possible? And now, I ask myself that question again in my mid-40’s. Given life’s opportunities, given disappointments and loss, given mistakes and triumphs, given everything that has led me here– to Napa–what is possible? For you in 2016: What is possible? We are in the final stages of preparing for the inaugural CRAFT NAPA event in January, and I have to say…we are having an absolute blast putting this together! This apron was designed specifically for coloring. Every CRAFT NAPA participant will got a complimentary apron so we can color with fabric markers and add some stitching in the BERNINA sewing room or in the wine bar after hours. I really can’t be happier with how this inaugural event is coming together, and while we are in the final stretch until registration closes, a CRAFT NAPA teacher blog hop has commenced where one lucky person will win a $500 gift certificate to eQuilter! Just comment on the following blogs (look for their CRAFT NAPA posts), and you could be in the running to win this $500 gift certificate. I will be announcing the winner after December 10th on this blog and also on the Crafting a Life website. Thanks to our CRAFT NAPA sponsors! Thanks to CRAFT NAPA’s Preeminent Sponsors! I am so excited. BERNINA of America and Meissner Sewing have come on board to help sponsor CRAFT NAPA 2016 in January! Meissner will also have sewing machines for sale at CRAFT NAPA at a very reasonable price, so if you’ve been thinking about getting a new machine, here’s your chance! They will also have the BERNINA Q 24 long arm on hand to play on during the entire retreat and during open sewing times. I am really excited with how this retreat is coming together! For more information on CRAFT NAPA, mosey over to the Craft Napa site to learn more! I recently started to see a trainer again; heck, these old bones aren’t getting any younger, and as I get up in age, it’s important to keep these bones from breaking, so I am making this investment in myself. I have different fitness goals than my trainer, though; I want to be able to drink wine and eat fries without gaining weight…whereas she is a competitive body builder. She works very, very hard at what she does, and we have had some quality discussions about our career paths, what it means to follow your passions, and the hard work it requires to see them through. Years ago, my trainer, armed with her law degree, worked in family law for a length of time, and also did some contractual work in the wine industry. But she knew that a sit-down job at a desk all day was not where she wanted to be; she longed to be somewhere else, to do something else, to be someone else. So she went back and got highly schooled in fitness, and nowadays helps people (like me) beleive in our strength. I am fueled by passionate people. I want to surround myself with folks who get very animated talking about what they do and how they spend their days…whether it be a trainer, a longarm quilter, or someone who runs a non-profit to help homeless youth. I am inspired by people who not only have a passion for what they do, but are willing themselves to do the hard, non-glamorous, often gut-wrenching, worrisome work to see that vision through. Like many dreamers, I watch a lot of Shark Tank– you know…the show filled with a panel of hosts with fat pockets and listen to the pitches of regular Joe Schmo’s with Big Ideas, to see if these dreams are worth investing in. An alarm clock that alerts you when it’s time to get up AND cooks bacon. What a way to wake up! It made me think…wouldn’t it be hilarious to have a showing of “Scratch-n-Sniff” quilts? You know…like scratch a quilt patch and you would get the aroma of BACON!?! I mean come ON! It’s bacon!!! Well, maybe not. Some ideas–upon a couple seconds of reflection–are bad. But if you think you have a hunch (and it is an educated hunch with a heaping spoon of prudence)… I say go for it. If it works GREAT. If it doesn’t, then learn from it and move on. And that is what I am doing. I am going for it. 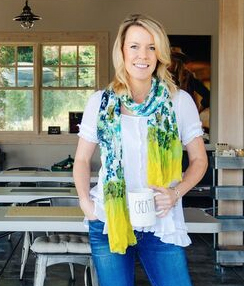 I am investing in building my little art barn, my headquarters for several creative enterprises down the line, but also in case you had’t heard, going to launch a new creative, intimate retreat in Napa called CRAFT NAPA next year. I will definitely still be hanging out on this blog, sharing my thoughts, ideas, and others’ works, but I am spending a lot of time over on the new site, Craftingalifellc.com. I hope you will join me there, maybe even sign up for the e-newsletter if you want to hear the latest offerings. It’s easy to see why Lynn was asked to create a DVD on Thermofax screen printing. Just check out all of these luscious fabrics of hers (currently in my possession…I am hesitant to send any of them back because I can’t stop petting them)! After watching her DVD, I thought about giving it a go to create greeting cards. I first created a photocopy of the image in Photoshop that I then burned onto a screen. And for the first time, per the DVD, I used Jacquard’s Puff Additive, and mixed with Golden Fluid acrylics. The Puff Additive has just enough tooth to it to yield a very sharp image on paper, whether you later want to apply a heat gun to emboss it, or not. I experimented with different colors, different amounts of pressure when pulling the paint down the screen to get a more organic result. And now I have my first set of cards to send out to the greater world. Lynn has a lot of wonderful tips in her DVD and she masterfully and easily explains the processes from start to finish. In celebration of her DVD launch, she is giving away two screens of choice to a randomly selected reader of this blog entry. A question I have is, if you could create a screen of an image, what subject matter or image would you choose? Just leave a comment below and you’ll be in the running! Progress! 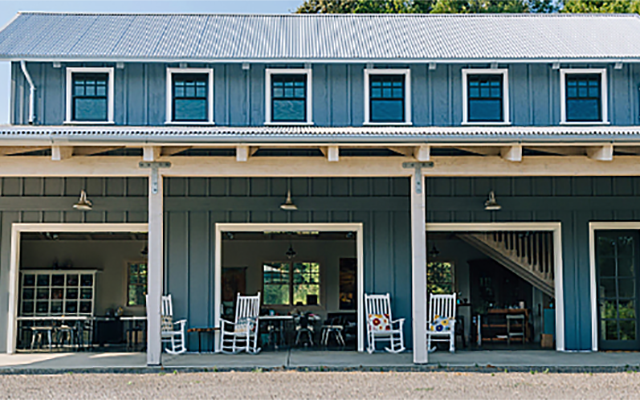 Art Barn & Retreat Info. Things starting to come together here in Napa! The crew who are making this barn a reality. The barn has doors at last, and I am really happy I chose a transparent glass for the garage doors so that the views are intact and allow for a lot of natural light to flow inside. The interior is being worked on now…it’s not completed but I am happy with the clean lines, the cement floor finish, and the white-washed ceilings and paneling (vs. painted) so that the grain of the woods still show. Just to get a sense of how art would look hanging inside, we temporarily hung a trio of Lynn Krawczyk’s fabric collages from the loft. This space is coming together, but it’ll still be months before it’s completed. In the meantime, I recently announced on social media the first CRAFT NAPA retreat taking place next January 7-9, 2016 at the Embassy Suites! 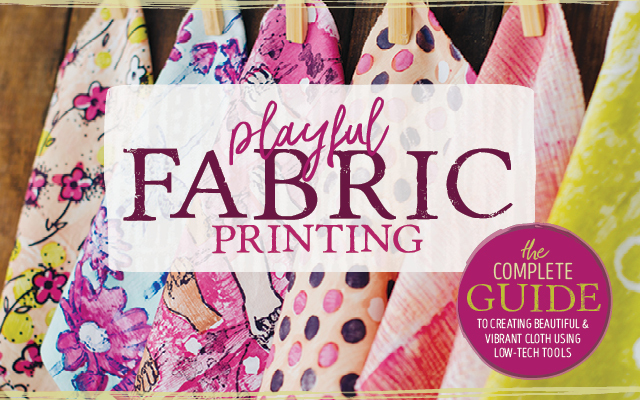 Workshops range from sewing and quilting, to fabric and paper collage, and surface design. Teachers include Carrie Bloomston, Jane LaFazio, Jamie Fingal, Leslie Jenison, Lynn Krawczyk, Jenny K. Lyon, Judy Coates Perez, Elizabeth St. Hilaire, and Melanie Testa. There are a few fun night events planned including a “Make Your Own Wine” competition with a BERNINA giveaway, an Artist Market, and late night sip-n-sews in the bar featuring some fun stitching projects. You can find out more about this retreat on this web page. The site and the schedule are close to completion, and registration goes live next Wednesday. If you want to get any e-newsletters relating to CRAFT NAPA, you can sign up for more news, stories, and information here. I am keeping my blog a bit separate from the retreat so I can focus on art-making again. I am finally able to take all of my supplies out of storage, and tomorrow I’m a part of Lynn Krawczyk’s blog hop for her latest DVD. I have to admit…it feels pretty sublime to be screen printing again!